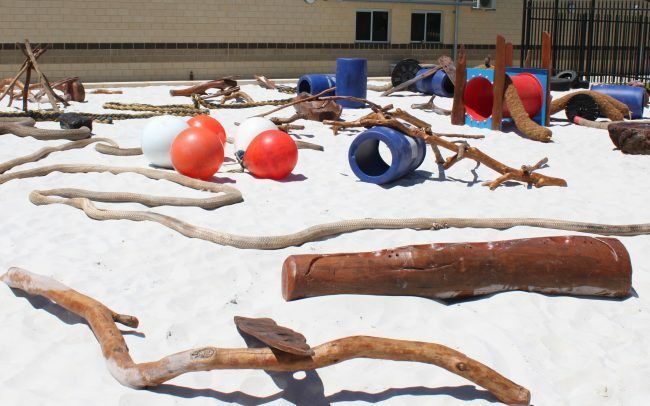 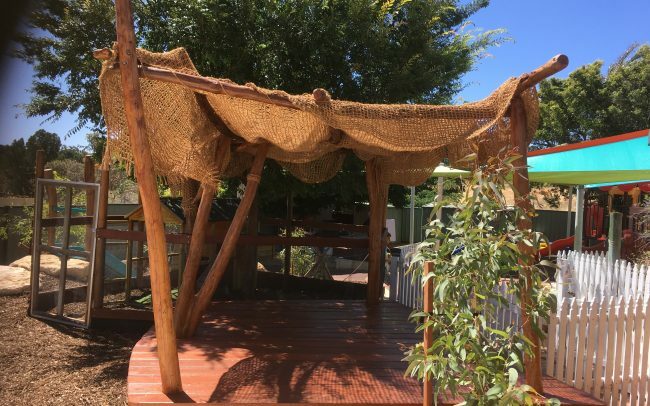 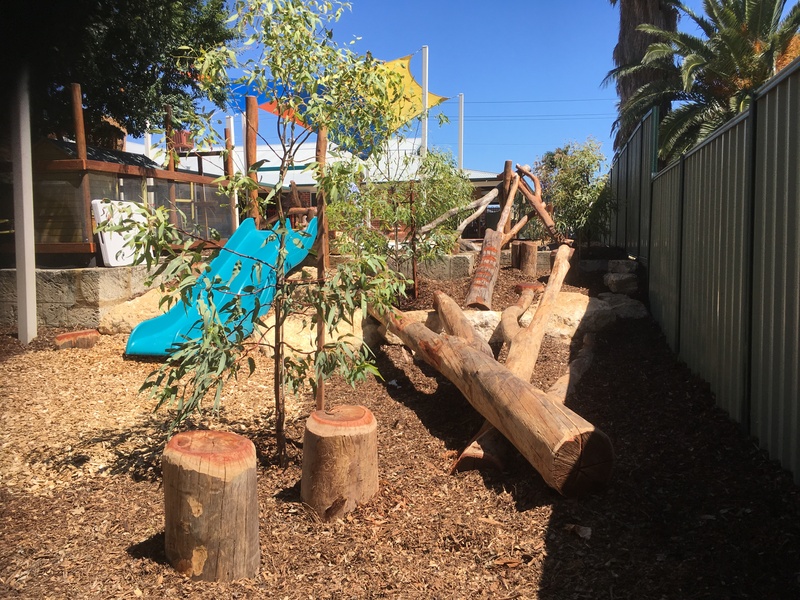 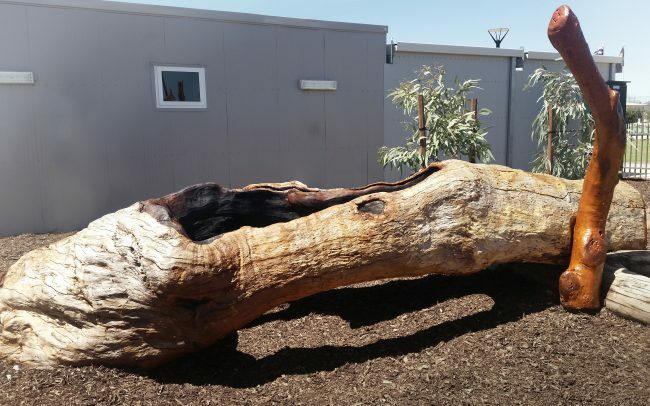 The owners of Landsdale ELC contacted Nature Based play to realise their vision of designing and building Nature Play Spaces for their childcare centre. 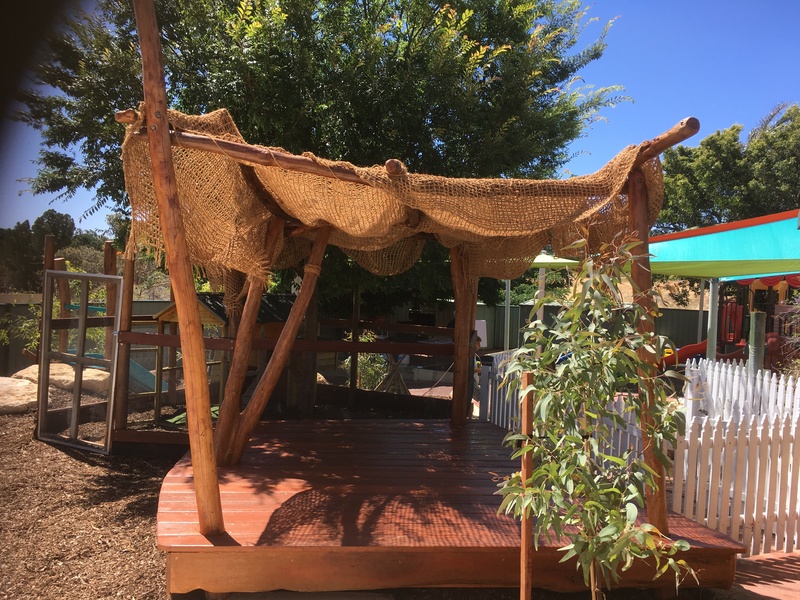 Working closely with the ELC owners and staff, a concept design and final construction design was completed with many reviews, finalising in an innovative design meeting their budget and ELC outdoor nature play vision. 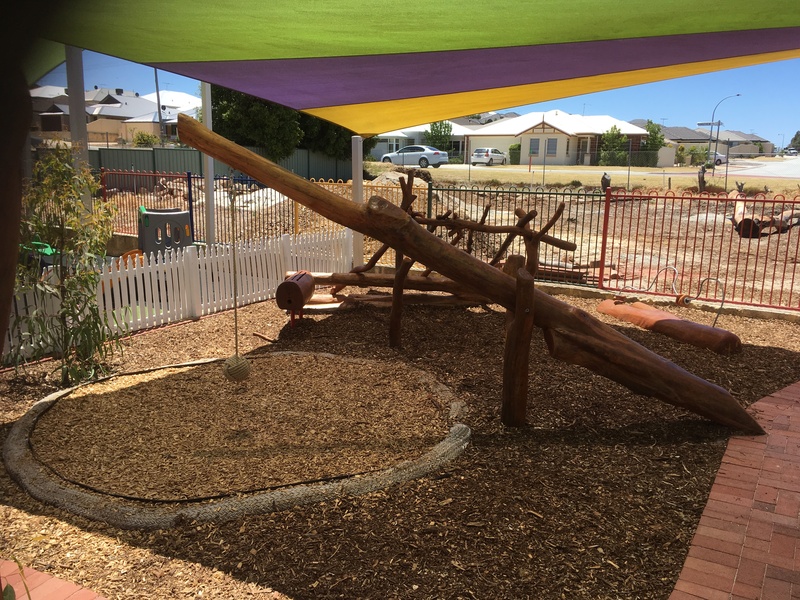 There were 3 main areas completed, incorporating a combination of physical climbing, swinging and balancing play, along with more interactive and imaginative water play and educational items such as abacus and log drum. 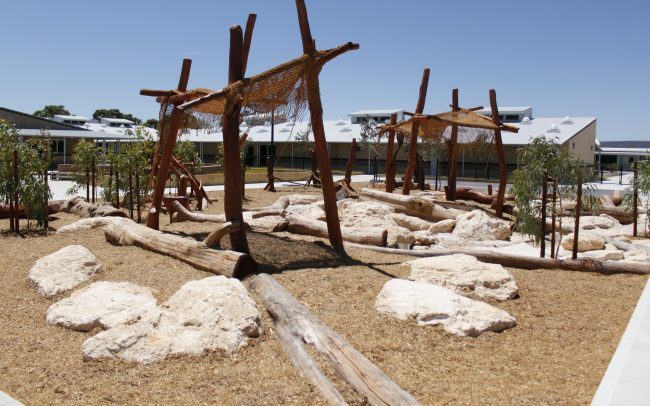 Timber decks and a shelter were also included to give valuable outdoor learning and reflective spaces. 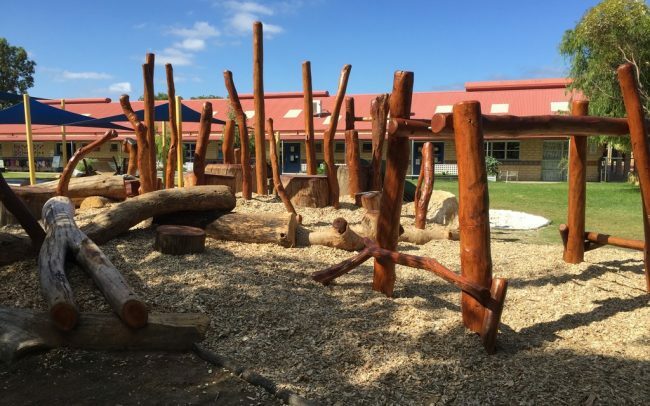 Overall the outcome was amazing Nature Play areas for the younger children to enjoy and explore, and bringing a beautiful natural aesthetic to the whole centre, making it a lovely outdoor space for the centre and for kids, carers to explore and reflect in.